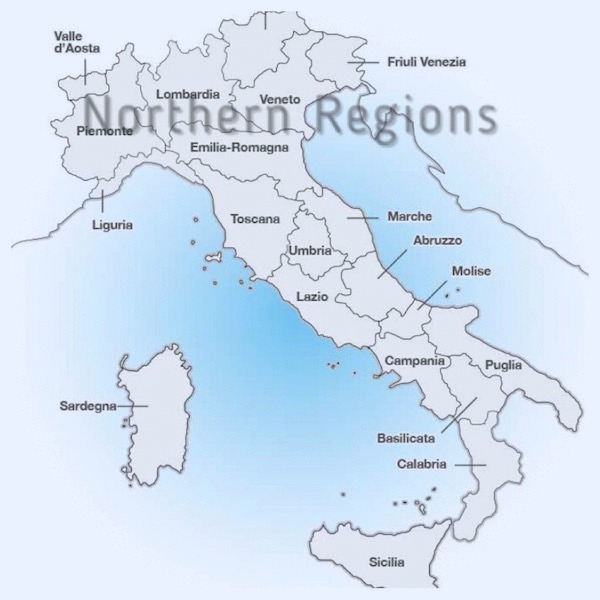 The main wine regions from Northern Italy include Piedmont in the northwest and Trentino-Alto Adige, Friuli-Venezia Giulia and Veneto in the northeast. Piemonte which means at the foot of the mountains—the Alps, enjoys an unrivaled seat among the world's very finest wine regions. Its food and wine are as inseparable as those of Burgundy. Truffles play an important part. The region is famous for its Nebbiolo, but also well know for its Barbera and Dolcetto grapes. The two best red wines, Barolo and Barbaresco, take their names from villages and are made with the Nebbiolo grape. 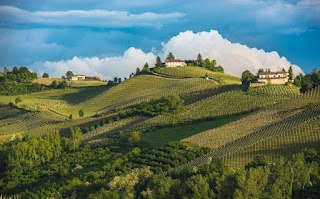 Although Piedmont is known as a red-wine region, it produces several well regarded white wine styles. The most obvious are crowd-pleasing Moscato d’Asti. Trentino-Alto Adige is Italy's northernmost wine region, located right on the Italian border with Austria. 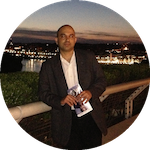 Wines from this region bear all the marks of its cultural and political past and the complexity of its topography. While Germanic varieties such as Muller-Thurgau and Sylvaner are widely grown in some of the region's vineyards, in others the local Teroldego and Schiava grape holds sway, alongside increasing quantities of Pinot Grigio, Chardonnay, Pinot Noir, Pinot Bianco and Sauvignon Blanc. 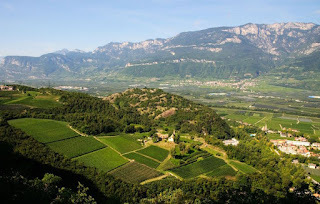 The wines of Friuli-Venezia Giulia tend to be complex and sophisticated reflecting the terroir and the wine making style which combines old world traditions with modern thinking. 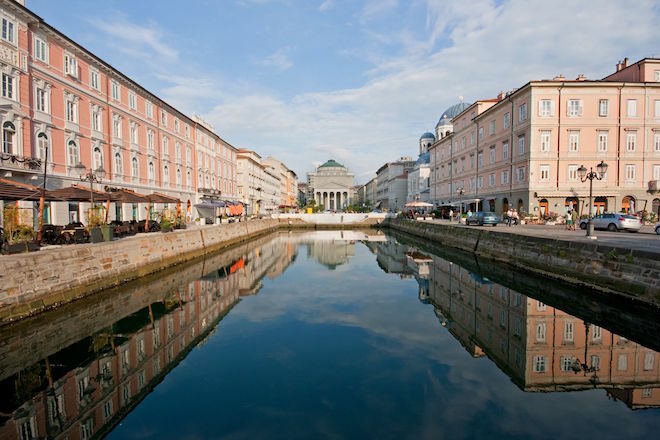 Friuli-Venezia Giulia with its interesting and complicated history reflects the traditions of Bordeaux, Burgundy, Austria, Germany and the Eastern Adriatic. In addition to Pinots, Traminer, Riesling and Malvasia the region also grows indigenous varieties such as Ribolla Gialla and Verduzzo. Friulano is the most common planted varietal in this region. Pinot Grigio and Prosecco are the two well known wines that come from this region. 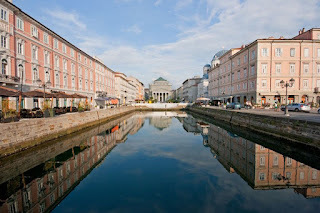 Prosecco gets its name from a former village called Prosecco which is now a suburb of the region's capital city Trieste. It is made from the Prosecco (aka Glera) grapes, of Slovenian origin. 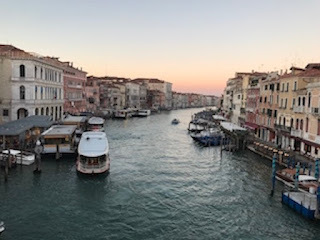 Veneto which includes Treviso, Verona and Vincenza is a substantial and increasingly important wine region in the northeast corner of Italy. The Valpolicella wine zone in the Veneto region, produces some best known red wines, using Corvina, Rondinella and Molinara grapes. The most acclaimed wine of the region is the Amarone della Valpolicella. Bardolino is also produced here from the same trio of grapes but with less Corvina which adds body and structure and more Rondinella which has a relatively neutral profile. The prominent white wines in the Veneto region are Soave and sparkling Prosecco. Soave is made from Garganega and Trebbiano di Soave grapes grown on the hills between Lake Garda and the town of Soave in the western province of Verona.